America’s “war on terrorism” is a hegemonic project, under a fake counter-terrorism agenda which consists in going after al Qaeda entities which “threaten Western civilization”. Major military and covert intelligence operations are being undertaken simultaneously in the Middle East, Eastern Europe, sub-Saharan Africa, Central Asia and the Far East. The U.S. military agenda combines both major theater operations as well as covert actions geared towards destabilizing sovereign states. Under a global military agenda, the actions undertaken by the Western military alliance (U.S.-NATO-Israel) in Afghanistan, Pakistan, Palestine, Ukraine, Syria and Iraq are coordinated at the highest levels of the military hierarchy. We are not dealing with piecemeal military and intelligence operations. The July-August 2014 attack on Gaza by Israeli forces was undertaken in close consultation with the United States and NATO. The actions in Ukraine and their timing coincided with the onslaught of the attack on Gaza, Syria and Iraq. Our analysis in this article will largely be geared towards refuting the myth that the United States is waging “a Global War on Terrorism”. The evidence amply confirms that the the United States of America is a “State Sponsor of Terrorism” and that the campaign against the Islamic State is a smokescreen used by the US and its allies to justify in the eyes of public opinion its global war of conquest. The Global War on Terrorism has become a consensus. It is part of war propaganda. It is also used by Western governments to justify and implement “anti-terrorist” legislation. It is the cornerstone of the West’s demonization campaign directed against Muslims. It should also be understood that the “Global War on Terrorism” supports a process of “economic conquest”, whereby countries forego their sovereignty. Their national economies are “taken over by foreign investors”. Their assets are confiscated, austerity measures are imposed and a process of macro-economic restructuring under the helm of Wall Street and the Bretton Woods institutions are implemented. US sponsored terrorism creates factional divisions within national societies. Countries are impoverished and destabilized. National institutions are undermined as part of a US led war of conquest. The evidence presented in this article, including the historical review, is intended to fully reveal the “Big Lie”. Beyond doubt, the “Global War on Terrorism” is a fabrication. The United States of America is the “Number One” State Sponsor of Terrorism. Since August 2014, the US Air Force with the support of a coalition of more than twenty countries has relentlessly waged an intensified air campaign against Syria and Iraq allegedly targeting the Islamic State brigades. The airstrikes have been casually described by the media as part of a “soft” counter-terrorism operation, rather than an act of all out war directed against Syria and Iraq. This large scale air campaign which has resulted in countless civilian casualties has been routinely misreported by the mainstream media. According to Max Boot, senior fellow in national security at the Council on Foreign Relations. “Obama’s strategy in Syria and Iraq is not working… [ because] the U.S. bombing campaign against ISIS has been remarkably restrained”. (Newsweek, February 17, 2015, emphasis added). Americans are led to believe that the Islamic State constitutes a formidable force confronting the US military and threatening Western Civilization. The thrust of media reporting is that the US Air Force has failed and that “Obama should get his act together” in effectively confronting this “Outside Enemy” of America. What kind of aircraft are involved in the air campaign? 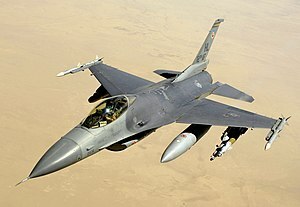 The F-16 Fighting Falcon,(above right), The F-15E Strike Eagle (image below) , The A-10 Warthog, not to mention Lockheed Martin’s F-22 Raptor stealth tactical fighter aircraft. Why has the US Air Force not been able to wipe out the Islamic State which at the outset was largely equipped with conventional small arms not to mention state of the art Toyota pickup trucks? From the very outset, this air campaign has NOT been directed against ISIS. The evidence confirms that the Islamic State is not the target. Quite the opposite. The air raids are intended to destroy the economic infrastructure of Iraq and Syria. We call on our readers to carefully reflect on the following image, which describes the Islamic State convoy of pickup trucks entering Iraq and crossing a 200 km span of open desert which separates the two countries. This convoy entered Iraq in June 2014. What would have been required from a military standpoint to wipe out a ISIS convoy with no effective anti-aircraft capabilities? Without an understanding of military issues, common sense prevails. 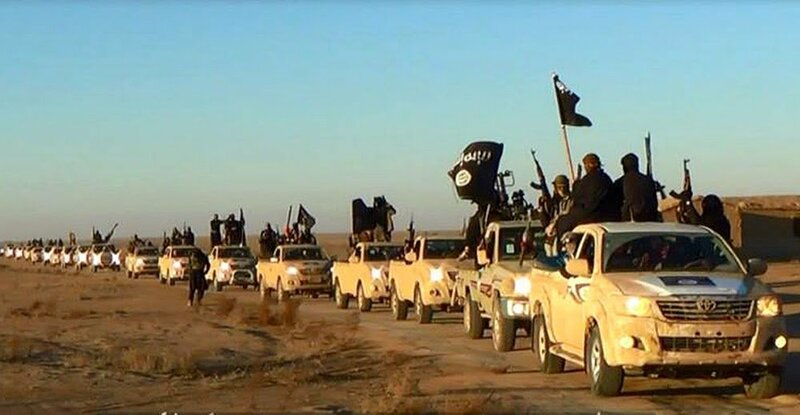 If they had wanted to eliminate the Islamic State brigades, they could have “carpet” bombed their convoys of Toyota pickup trucks when they crossed the desert from Syria into Iraq in June. The answer is pretty obvious, yet not a single mainstream media has acknowledged it. The Syro-Arabian Desert is open territory (see map right). With state of the art jet fighter aircraft (F15, F22 Raptor, F16) it would have been –from a military standpoint– “a piece of cake”, a rapid and expedient surgical operation, which would have decimated the Islamic State convoys in a matter of hours. Instead what we have witnessed is an ongoing drawn out six months of relentless air raids and bombings, and the terrorist enemy is apparently still intact. (In comparison, the NATO bombing raids of Yugoslavia in 1999 lasted about three months (March 24-June 10, 1999). And we are led to believe that the Islamic State cannot be defeated by a powerful US led military coalition of more than 20 countries. The air campaign was not intended to decimate the Islamic State. The counter-terrorism mandate is a fiction. America is the Number One “State Sponsor of Terrorism”. The Islamic State is not only protected by the US and its allies, it is trained and financed by US-NATO, with the support of Israel and Washington’s Persian Gulf allies. The Global War on Terrorism is a Fabrication used to justify a war of conquest. The Jihadist terrorists are “Made in America”. They are instruments of US intelligence, yet they are presented to public opinion as “enemies of America”. The Islamic State (IS) militia, which is currently the alleged target of a US-NATO bombing campaign under a “counter-terrorism” mandate, continues to be supported covertly by the US. Washington and its allies continue to provide military aid to the Islamic State. US and allied bombings are not targeting the ISIL, they are bombing the economic infrastructure of Iraq and Syria including factories and oil refineries. 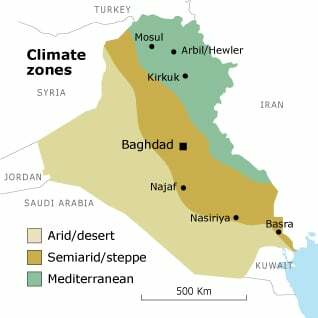 The IS caliphate project is part of a longstanding US foreign policy agenda to carve up Iraq and Syria into separate territories: A Sunni Islamist Caliphate, an Arab Shia Republic, a Republic of Kurdistan. These various affiliated Al Qaeda entities in the Middle East, sub-Saharan Africa and Asia are CIA sponsored “intelligence assets”. They are used by Washington to wreck havoc, create internal conflicts and destabilize sovereign countries. Boko Haram in Nigeria, Al Shabab in Somalia, the Libya Islamic Fighting Group (LIFG) (supported by NATO in 2011), Al Qaeda in the Islamic Maghreb (AQIM), Jemaah Islamiah (JI) in Indonesia, among other Al Qaeda affiliated groups are supported covertly by Western intelligence. The US is also supporting Al Qaeda affiliated terrorist organizations in the Xinjiang Uighur autonomous region of China. The underlying objective is to trigger political instability in Western China. Chinese jihadists are reported to have received “terrorist training” from the Islamic State “in order to conduct attacks in China”. The declared objective of these Chinese-based jihadist entities (which serves the interests of the US) is to establish a Islamic caliphate extending into Western China. (Michel Chossudovsky, America’s War on Terrorism, Global Research, Montreal, 2005, Chapter 2). The US has supported Al Qaeda and its affiliated organizations for more than thirty years: since the heyday of the Soviet Afghan war. CIA training camps were set up in Pakistan, in liaison with Pakistan’s Inter-Services-Intelligence (ISI). In the ten year period from 1982 to 1992, some 35,000 jihadists from 43 Islamic countries were recruited by the CIA to fight in the Afghan jihad. Ronald Reagan called the terrorists “freedom fighters”. The US supplied weapons to the Islamic brigades. It was all for “a good cause”: fighting the Soviet Union and regime change, leading to the demise of a secular government in Afghanistan. “CIA director and Secretary of Defense Robert Gates confirmed in his memoir that the U.S. backed the Mujahideen in the 1970s.” (See Washington Blog, Sleeping With the Devil: How U.S. and Saudi Backing of Al Qaeda Led to 9/11, September 5, 2012). This page is from a third-grade language arts textbook dating from the mujahidin period. A copy of the book was purchased new in Kabul in May 2000. According to the Council on Foreign Relations in the wake of the US 2001 invasion,”New madrassas sprouted, funded and supported by Saudi Arabia and U.S. Central Intelligence Agency, where students were encouraged to join the Afghan resistance. 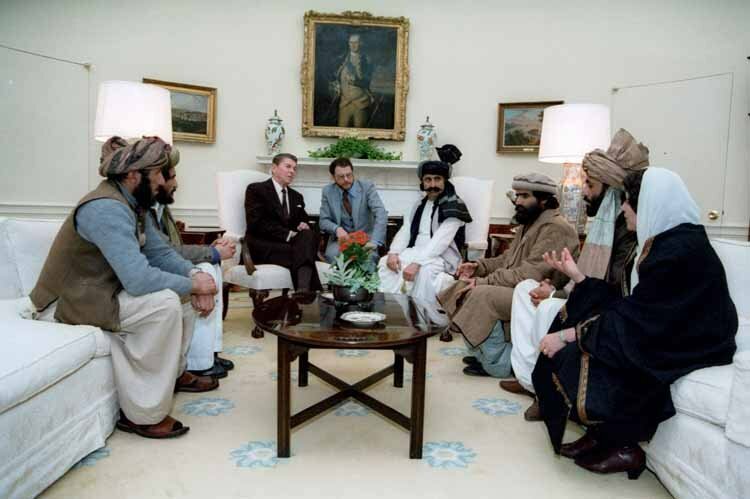 US military intervention in Afghanistan in the 1980s was supported by the Wahhabi missionaries out of Saudi Arabia, which trained the Taliban (‘graduates”) in the US sponsored madrassas in Pakistan and Afghanistan. The Wahhabi doctrine would not have spread in the way it did without the support of US intelligence. Confirmed by the Afghan Project (http://nsarchive.chadwyck.com/afintro.htm ), which has collected hundreds of CIA and State Department documents, cables and memoranda, the CIA developed from the late 1970s, ties with a number of Islamic organizations. The objective was to use “Islamic fundamentalist” doctrine to unseat the secular pro-Soviet People’s Democratic Party of Afghanistan (PDPA) government as well as unleash a war with the Soviet Union. The same strategy of supporting Islamic political movements was used by Washington in the post-Cold War era in the Muslim republics of the former Soviet Union as well in Bosnia and Kosovo. The CIA-led war on Afghanistan was largely conducive to the derogation of Women’s Rights. “The Global War on Terrorism” (GWOT) is presented as a “Clash of Civilizations”, a war between competing values and religions, when in reality it is an outright war of conquest, guided by strategic and economic objectives. U.S. sponsored Al Qaeda terror brigades (covertly supported by Western intelligence since the 1980s) have been deployed in Mali, Niger, Nigeria, the Central African Republic, Somalia and Yemen. Al Qaeda affiliated organizations have also been deployed in several Asian countries including China and Indonesia. The Islamic State (ISIS) was originally an Al Qaeda affiliated entity created by US intelligence with the support of Britain’s MI6, Israel’s Mossad, Pakistan’s Inter-Services Intelligence (ISI) and Saudi Arabia’s General Intelligence Presidency (GIP), Ri’āsat Al-Istikhbārāt Al-’Āmah ( رئاسة الاستخبارات العامة‎). In relation to the Syrian insurgency, the Islamic State fighters together with the Al Qaeda affiliated jihadist forces of the Al Nusrah Front are the foot soldiers of the Western military alliance. They are covertly supported by US-NATO-Israel. Their mandate is to wage a terrorist insurgency against the government of Bashar al-Assad. The atrocities committed by Islamic State fighters in Iraq are similar to those committed in Syria. Their unspoken mandate is to wreck havoc and destruction in Syria and Iraq, acting on behalf of their US sponsors. The ISIS brigades were involved in the US-NATO supported insurgency in Syria directed against the government of Bashar al Assad. NATO and the Turkish High Command were responsible for the recruitment of ISIL and Al Nusrah mercenaries from the outset of the Syrian insurgency in March 2011. 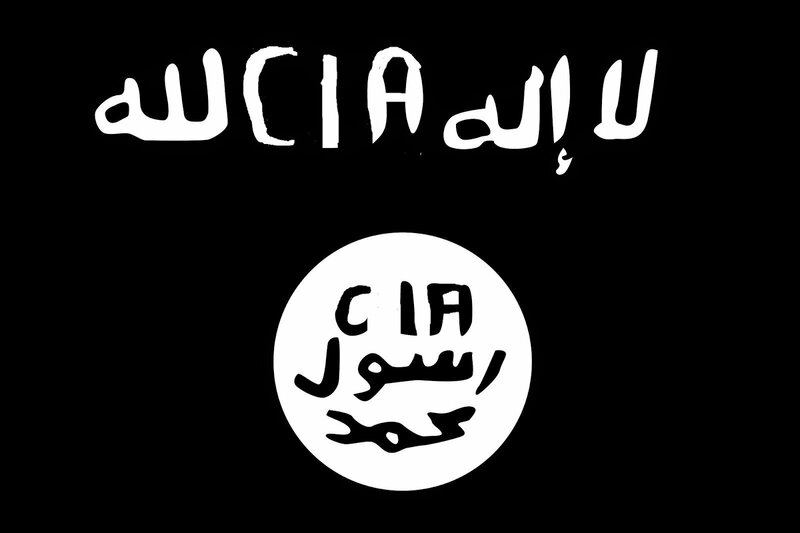 There are Western Special Forces and Western intelligence operatives within the ranks of the ISIL. British Special Forces and MI6 have been involved in training jihadist rebels in Syria. Western military specialists on contract to the Pentagon have trained the ISIS and Al Nusrah terrorists in the use of chemical weapons. The ISIS’s practice of beheadings is part of the US sponsored terrorist training programs implemented in Saudi Arabia and Qatar. Recruited by America’s ally, a large number of ISIS mercenaries are convicted criminals released from Saudi prisons on condition they join the ISIL. Saudi death row inmates were recruited to join the terror brigades. Yousaf al Salafi – allegedly the Pakistan commander of Islamic State (IS) or Daish – has confessed during investigations that he has been receiving funds through the United States. Law enforcing agencies on January 22 claimed that they arrested al Salafi, along with his two companions, during a joint raid in Lahore. However, sources revealed that al Salafi was actually arrested sometimes in December last year and it was only disclosed on January 22. …[F]rom 2007 where the US, Saudi Arabia, and Israel openly conspired to stand up, fund, and arm a terrorist army to fight a proxy war against Syria and Iran, to 2015 where this army has finally manifested itself as the “Islamic State” complete with funding, arms, and fighters streaming in from NATO members, the source cited by the Tribune claiming that “the US had to dispel the impression that it is financing the group for its own interests,” and thus must now feign to be interested in stopping the organization in Syria, is the most compelling and logical explanation available. The late Saudi King Abdullah was known to have supported and financed Al Qaeda in liaison with the Washington. Saudi intelligence played a key role in this regard. The U.S. government has warned that it will treat regimes that harbor or assist terrorist organizations the same way that it treats the organizations themselves. Yet if Washington is serious about that policy, it ought to regard Saudi Arabia as a State sponsor of international terrorism. Indeed, that country should have been included for years on the U.S. State Department’s annual list of governments guilty of sponsoring terrorism. We recall that in the immediate wake of the 9/11 attacks, George W. Bush stated in no uncertain terms that “State sponsors of terrorism” would be considered as “terrorists”. “We will make no distinction between the terrorists who committed these acts and those who harbor them”. But there is always an “Exception that the Proves the Rule” and that is George W. Bush himself. When George W. Bush respectfully kisses King Abdullah of Saudi Arabia, does this mean that Dubya could –by some stretch of the imagination– be considered a “suspected terrorist”, who should never have been elected president of the United States of America? The answer is negative: Kissing “State sponsors of terrorism” on the mouth is not defined by the FBI as “suspicious behavior”. Now let us turn our attention to the relationship between the Bush and bin Laden families. The Bushes and bin Ladens are long-time friends. This relationship goes back to George H. W. Bush, who served as head of the CIA in the Ford administration, before becoming Vice President under the Reagan administration and President of the United States (1989-1993). The wider bin Laden clan [was] closely tied to the Saudi royal family. According to Seymour Hersh … it is far from clear that the royal family, … has forsaken Muslim extremists. Indeed, some members of the royal family itself are said to bankroll Osama bin Laden. … The Saudi monarchy, Hersh reports, has also quietly resisted U.S. efforts to conduct background checks of Saudi suspects in the wake of September 11. While much remains to be learned about these shadowy connections, it is clear that any investigation of the bin Laden’s family’s U.S. investments will lead to some well-placed Texans. Like George W. Bush, the fortune of Osama bin Laden is rooted in oil and his family’s government connections. Before his death in a 1968 plane crash, Osama’s father, Mohammed bin Laden, made a fortune off construction contracts awarded by the Saudi royal family. The $5 billion per year construction conglomerate, known as the Binladin Group (the company uses another spelling of the name) remains closely tied to the Saudi royal family. Despite his family ties and links to the Royal Saudi household, Osama bin Laden was officially considered “a disgrace” to members of the bin Laden family, who reluctantly provided him with “pocket money”, which was used to develop Al Qaeda (The Base). He was referred to as a “Black Sheep”. Its all part of a “good guys project” of going after Osama, the “Black Sheep”, and waging the “Global War on Terrorism”. There is nothing wrong, therefore, in socializing and doing business with family members of terror mastermind Osama bin Laden, including the late Salem bin Laden and Shafiq bin Laden of the Carlyle Group. Lest we forget, Osama bin Laden was the alleged architect of the 9/11 attacks, yet his brother Shafiq bin Laden was meeting up with the presidents’s dad, former president George H. W. Bush on September 10, 2001. Needless to say Osama’s brother Shafiq and members of the bin Laden family were flown out of Washington in government planes in the immediate wake of 9/11. Ironically, on September 10th while brother Shafiq bin Laden and George Bush Senior were meeting at the Ritz Carleton, the alleged 9/11 mastermind Osama bin Laden was undergoing treatment for his kidney condition at the Urology War of Pakistan’s military hospital in Rawalpindi. (according to Dan Rather, CBS News Report). Everyone remembers what happened on September 11. Here`s the story of what may have happened the night before. It is a tale as twisted as the hunt for Osama bin Laden. 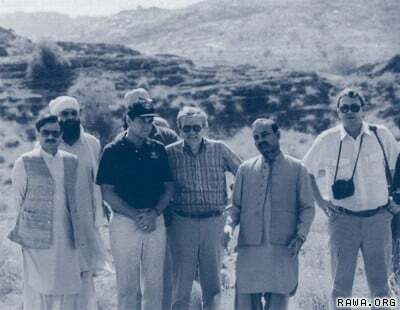 CBS News has been told that the night before the September 11 terrorist attack, Osama bin Laden was in Pakistan. He was getting medical treatment with the support of the very military that days later pledged its backing for the U.S. war on terror in Afghanistan. Pakistan intelligence sources tell CBS News that bin Laden was spirited into this military hospital in Rawalpindi for kidney dialysis treatment. On that night, says this medical worker who wanted her identity protected, they moved out all the regular staff in the urology department and sent in a secret team to replace them. She says it was treatment for a very special person. The special team was obviously up to no good. “The military had him surrounded,” says this hospital employee who also wanted his identity masked, “and I saw the mysterious patient helped out of a car. Since that time,” he says, “I have seen many pictures of the man. He is the man we know as Osama bin Laden. I also heard two army officers talking to each other. They were saying that Osama bin Laden had to be watched carefully and looked after.” Those who know bin Laden say he suffers from numerous ailments, back and stomach problems. Ahmed Rashid, who has written extensively on the Taliban, says the military was often there to help before 9/11. AHMED RASHID, TALIBAN EXPERT: There were reports that Pakistani intelligence had helped the Taliban buy dialysis machines. And the rumor was that these were wanted for Osama bin Laden. PETERSEN (on camera): Doctors at the hospital told CBS News there was nothing special about that night, but they refused our request to see any records. Government officials tonight denied that bin Laden had any medical treatment on that night. PETERSEN: The United States has no way of knowing who in Pakistan`s military or intelligence supported the Taliban or Osama bin Laden maybe up to the night before 9/11 by arranging dialysis to keep him alive. So the United States may not know if those same people might help him again perhaps to freedom. 1) Pakistan’s Military Intelligence (ISI), which is in permanent liaison with the CIA, was complicit in protecting Osama bin Laden. 2) If the CBS report by Dan Rather is accurate and Osama had indeed been admitted to the Pakistani military hospital on September 10, 2001, courtesy of America’s ally, in all probability, his whereabouts were known to US officials. 3) The hospital was directly under the jurisdiction of the Pakistani Military, which has close links to the Pentagon. U.S. military advisers based in Rawalpindi. work closely with the Pakistani Armed Forces. Again, no attempt was made to arrest America’s best known fugitive, but then maybe bin Laden was serving another “better purpose”. Defense Secretary Rumsfeld claimed at the time that Osama’s whereabout were unknown: “Its like looking for a needle in a stack of hay”. Needless to say, the CBS report was a crucial piece of information in the 9/11 jigsaw. It refuted the administration’s claim that the whereabouts of bin Laden were unknown. It pointed to a Pakistan connection, it also suggested a cover-up at the highest levels of the Bush administration. Every nation, in every region, now has a decision to make. What both presidents Bush and Obama have failed to acknowledge is that America’s staunched ally Saudi Arabia, not to mention Turkey and Israel are financing and supporting the terrorists, in liaison with Washington. With the war on Syria (2011- ), establishing political ties with “State sponsors of terrorism” is considered to be part of a “New Normal”, a humanitarian endeavor intent upon unseating the secular government of Bashar al Assad and spreading American democracy throughout the Middle East. John Kerry concurs: financial aid to Syria’s Al Nusrah, an affiliate of Al Qaeda is part of an R2P mandate. Barack Obama, John Kerry, John McCain: Are They “Terror Suspects”? Now let us examine in more detail the Al Nusrah Front, which constitutes the main rebel fighting force in Syria. Al Nusrah is affiliated to Al Qaeda. The leader of Al Nusrah, Abu Mohammad al-Golani, has pledged his allegiance to Al-Qaeda leader Ayman al-Zawahiri, who replaced Osama bin Laden after his death. the freezing of all property and interests in property of the organization that are in the United States, or come within the United States or the control of U.S. persons.” (emphasis added). It is understood that US State Department Counter-terrorism policy also applies to “state sponsors of terrorism”. While theoretically committed to the US-led war on terrorism, the Israeli government of Benjamin Netanyahu quite openly supports al Qaeda. The Al Nusrah and ISIS terror brigades operate out of the occupied Golan Heights. 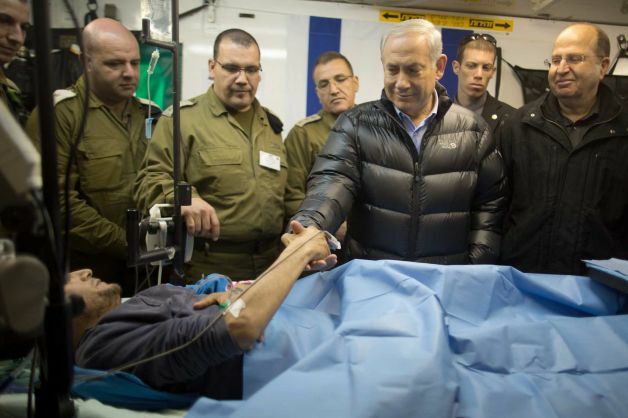 military field hospital at the occupied Golan Heights’ border with Syria, 18 February 2014″. The US president and his NATO allies, not to mention Bejamin Netanyahu, “R the Terrorists”, they are the “state sponsors of terrorism.”. Obama’s “counter-terrorism” campaign against the Islamic State has contributed to the demonization of Muslims, who in the eyes of Western public opinion are increasingly associated with the jihadists. Anybody who dares to question the validity of the “Global War on Terrorism” is branded a terrorist and subjected to the anti-terrorist laws. The ultimate objective of the “Global War on Terrorism” is to subdue the citizens, totally depoliticize social life in America, prevent people from thinking and conceptualizing, from analyzing facts and challenging the legitimacy of the inquisitorial social order which rules America. The Obama Administration has imposed a diabolical consensus with the support of its allies, not to mention the complicit role of the United Nations Security Council. The Western media has embraced the consensus; it has described the Islamic State as an independent entity, an outside enemy which threatens the Western World. France has initiated a hate campaign against French Muslims, who represent approximately ten percent of France’s population. France, as part of a NATO-led coalition, has been arming, funding, aiding, and otherwise perpetuating Al Qaeda terrorists for years, beginning, on record in Libya with the overthrow of Libyan leader Muammar Gaddafi and continuing until today with NATO’s arming, harboring, and backing of Al Qaeda terrorists including the so-called “Islamic State” (ISIS) within and along Syria’s borders. Ironically, while the French media in chorus point to “Freedom of Expression” in journalism, not a single French media has had the courage of pointing to the issue of State sponsorship of terrorism by the French Republic. The antiwar movement in several Western countries is in crisis. Some of America’s wars are condemned outright, while others are heralded as “humanitarian interventions”. A significant segment of the US antiwar movement condemns the war but endorses the campaign against international terrorism, which constitutes the backbone of US military doctrine. Historically, progressive social movements in Western countries (including the World Social Forum) have been infiltrated, their leaders co-opted and manipulated, through the corporate funding of non-governmental organizations, trade unions and political parties. The ultimate purpose of “funding dissent” is to prevent the protest movement from challenging the legitimacy of the capitalist elites. The “Just War” theory (Jus Ad Bellum) has served to camouflage the nature of US foreign policy, while providing a human face to the invaders. The logic behind the “Global War on Terrorism” is that of a Just War. It is portrayed as a counter-terrorism initiative rather than outright military operation. A large segment of “progressive” opinion in the US and Western Europe is supportive of NATO’s R2P “humanitarian” mandate (Responsibility to Protect) to the extent that these war plans are being carried out with the “rubber stamp” of civil society. Prominent “progressive” authors as well independent media outlets have supported regime change and NATO sponsored humanitarian intervention in Libya. Similarly, many “progressive voices” rallied in support of the US-NATO sponsored opposition in Syria. Let us be under no illusions: This pseudo-progressive discourse is an instrument of propaganda. Several prominent “left” intellectuals –who claim to be opposed to US imperialism– have supported the imposition of “no fly zones” and “humanitarian interventions” against sovereign countries. “Progressives” are funded and co-opted by elite foundations including Ford, Rockefeller, et al. The corporate elites have sought to fragment the people’s movement into a vast “do it yourself” mosaic. War and globalization are no longer in the forefront of civil society activism. Activism tends to be piecemeal. There is no integrated anti-globalization anti-war movement. The economic crisis is not seen as having a relationship to the US led war. Dissent has been compartmentalized. Separate “issue oriented” protest movements (e.g. environment, anti-globalization, peace, women’s rights, climate change) are encouraged and generously funded as opposed to a cohesive mass movement. This mosaic was already prevalent in the counter G7 summits and People’s Summits of the 1990s. In numerous organizations including the trade union movement, the grassroots is betrayed by their leaders who are co-opted. The money trickles down from the corporate foundations, setting constraints on grassroots actions. Its called “manufacturing dissent”. Many of these NGO leaders are committed and well meaning individuals acting within a framework which sets the boundaries of dissent. The leaders of these movements are often co-opted, without even realizing that as a result of corporate funding their hands are tied. In recent history, with the exception of Iraq, the so-called Western left namely “Progressives” have paid lip service to US-NATO military interventions in Yugoslavia, Afghanistan, Libya and Syria. “Progressives” also support the official 9/11 version of events. They deny 9/11 Truth. “Progressives” acknowledge that the US was under attack on 9/11 and that the war on Afghanistan was a “Just War”. In the case of Afghanistan, the “self-defense” argument was accepted at face value as a legitimate response to the 9/11 attacks, without examining the fact that the US administration had not only supported the “Islamic terror network”, it was also instrumental in the installation of the Taliban government in 1995-96. It was tacitly implied that by supporting al Qaeda, Afghanistan had attacked America on September 11, 2001. In 2001, when Afghanistan was bombed and later invaded, “progressive” organizations largely upheld the administration’s “just cause” military doctrine. In the wake of 9/11, the antiwar movement against the illegal invasion of Afghanistan was isolated. The trade unions and civil society organizations had swallowed the media lies and government propaganda. They had accepted a war of retribution against Al Qaeda and the Taliban. Media disinformation prevailed. People were misled as to the nature and objectives underlying the invasion of Afghanistan. Osama bin Laden and the Taliban were identified as the prime suspects of the 9/11 attacks, without a shred of evidence and without addressing the historical relationship between Al Qaeda and the US intelligence apparatus (as outlined above). In this regard, understanding 9/11 is crucial in formulating a consistent antiwar position. 9/11 is the pillar of US war propaganda; it sustains the illusion of an outside enemy, it justifies pre-emptive military intervention, it is the cornerstone of xenophobia and the hate campaign directed against Muslims. 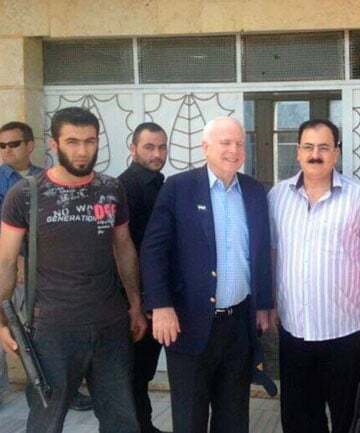 With regard to Syria, from the outset in 2011, “progressives” and mainstream “antiwar” organizations have supported so-called opposition forces without acknowledging that the mainstay of these forces is composed of Al Qaeda affiliated terrorists, recruited, trained and financed by US-NATO and their allies including Israel, Turkey, Qatar and Saudi Arabia. These antiwar groups, which previously supported NATO intervention in Libya, blame the Syrian government for the atrocities committed by the US sponsored Al Qaeda rebels. What is required is to rebuild a mass movement. And this cannot be undertaken by organizations which are supported of corporate foundations and charities. The social base as well as the organizational structure of the antiwar movement must be transformed. America’s “Long War” is an imperialist project which sustains the financial structures and institutional foundations of the capitalist World Order. Behind this military agenda are powerful corporate interests including an extensive propaganda apparatus. War and the Economic Crisis are intimately related. The Worldwide imposition of neoliberal macro-economic policy measures is part of the broader imperial agenda. And consequently, the broader movement against neoliberalism must be integrated into the anti-war movement. Breaking the “Big Lie” which presents war as a humanitarian undertaking, means breaking a criminal project of global destruction, in which the quest for profit is the overriding force. This profit-driven military agenda destroys human values and transforms people into unconscious zombies. The holding of mass demonstrations and antiwar protests is not enough. What is required is the development of a broad and well-organized grassroots antiwar network, across the land, nationally and internationally, which challenges the structures of power and authority as well as the nature of the capitalist World order. People must mobilize not only against the military agenda – the authority of the state and its officials must also be challenged. A meaningful anti-war movement requires breaking the “war on terrorism” consensus and upholding 9/11 Truth. To reverse the tide of war and globalization requires a massive campaign of networking and outreach to inform people across the land, nationally and internationally, in neighborhoods, workplaces, parishes, schools, universities and municipalities, on the nature of the imperial project, its military and economic dimensions, not to mention the dangers of a US sponsored nuclear war. This movement must also occur within the Armed Forces (including NATO) with a view to challenging the legitimacy of the military agenda. China and Russia are not a threat to Global Security. Neither are Syria, Iran or North Korea a threat to World Peace. Quite the opposite. The threat to Global Security emanates from the Pentagon and the US State Department. Reveal the criminal nature of this military project. War is a criminal undertaking under Nuremberg. It is the ultimate “Crime against the Peace”. Break the legitimacy of the warmongers in high office. Indict political leaders for war crimes. Dismantle the multibillion dollar national intelligence apparatus. Dismantle the US-sponsored military adventure and its corporate sponsors. Bring home the troops. Uphold 9/11 Truth. Reveal the falsehoods behind 9/11 which are used to justify the Middle East/Central Asian war under the banner of the “Global War on Terrorism” (GWOT). Expose how a profit-driven war serves the vested interests of the banks, the defense contractors, the oil giants, the media giants and the biotech conglomerates. Challenge the corporate media which deliberately obfuscates the causes and consequences of this war. Call for the Dismantling of NATO. Reorganize the system of international justice which protects the war criminals. Implement the prosecution of war criminals in high office. Close down the weapons assembly plants and implement the foreclosure of major weapons producers. Close down all US military bases in the US and around the world. Develop an antiwar movement within the armed forces and establish bridges between the armed forces and the civilian antiwar movement. Forcefully pressure governments of both NATO and non-NATO countries to withdraw from the US-led global military agenda. Target the pro-war lobby groups including the pro-Israeli groups in the US. Dismantle the homeland security state. Repeal the legitimacy of Obama’s extrajudicial assassinations. Repeal the drone wars directed against civilians. Undermine the “militarization of law enforcement”. Reverse the gamut of anti-terrorist legislation in Western countries which is intended to repeal fundamental civil rights. These are no easy tasks. They require an understanding of the power structure, of hegemonic relations between the military, intelligence, the state structures and corporate powers which are promoting this destructive agenda. Ultimately these power relations must be undermined with a view to changing the course of World history. Without war propaganda and media disinformation, war criminals in high office do not have leg to stand on. Without the mainstream media’s lies and fabrications, the legitimacy of the “Global War on Terrorism” would collapse like a deck of cards. This text was presented to the Forum on America’s War on Terror and the Urgency of World Peace: Its Ramification in the Philippines. 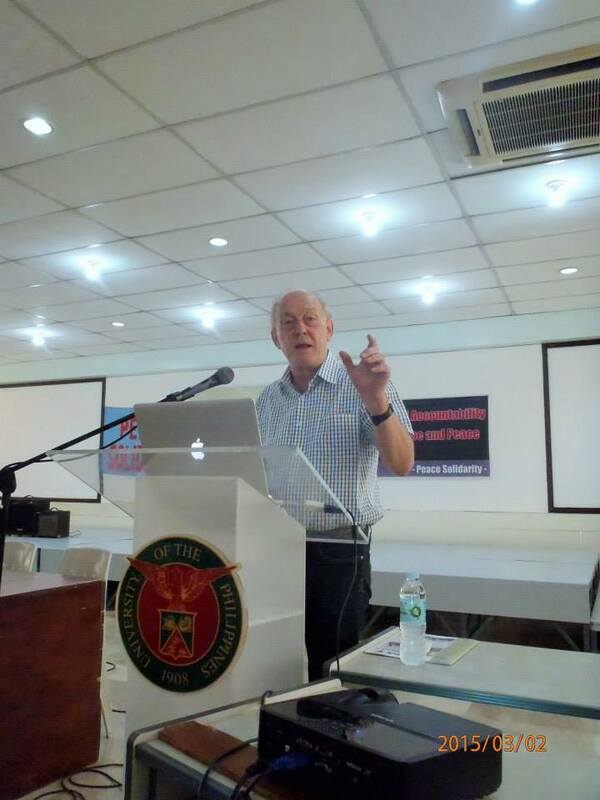 Social Sciences, University of the Philippines (UP-Cebu), in cooperation with Cebu Educators Forum (CEF), National Union of Students of the Philippines, (NUSP), National Commission on Muslim Filipinos, Visayas (NUSP), NUJP, Cebu Archdiocese, Peace Solidarity Movement, Cebu.